Wrinkles and folds are signs of ageing skin. With age, sun damage and malnourishment skin get thinner and less elastic, and that causes it to crinkle and fold. Fine lines: Fine lines can appear as early as in the twenties. They are criss-cross lines on the skin surface that are visible only under magnification. They are quite like the scratches on the smooth surface, and in the same way reduce the reflection of light, giving a dull appearance to the skin. Expression lines: We are constantly expressing ourselves when talking or even when focussing on work. Thinned out skin is more susceptible to showing expression lines, which become etched into the skin and permanent if not prevented. Examples of such wrinkles are vertical frown lines between the eyebrows, horizontal forehead lines, crow’s feet at the corner of the eyes. Folds: Skin Folds appear with age, due to skin stretch, loss of volume and effect of gravity. Commonest folds are nasolabial folds (smile lines) and jowls. Excess skin nap tight muscles also cause banding and fullness in the neck. Viora RF treatment: This treatment is based on radiofrequency technology that heats the skin to a specific level in the deeper layers of skin. Heating this way restores and regenerates collagen in the skin leading to tightness and smoothness. Microneedling: Microneedling is done with derma roller. Dermaroller has many fine needles that create micro-injury to the deeper skin, and that stimulates collagen synthesis leading to smoother skin with fewer wrinkles and scars. PRP (Platelet Rich Plasma): PRP is a platelet concentrate. Platelets have growth factors that stimulate the skin. PRP is prepared from one’s blood and injected into the skin to give it growth boost. This is also called Vampire lift. Restylane Vital: Restylane Vital is a hyaluronic acid product dermal filler that hydrates the skin, diminishes fine lines and restores glow. It is injected into the skin through ultrafine needles and stays there for months, giving it hydration and plumpness. Chemical peels: Chemical peels like Glycolic peels, Yellow peel, ZO- three step peels and ZO controlled depth peels reduce the wrinkles by stimulating the skin and by peeling off the outer layers. Botox: Expressions like frowning, smiling and umpteen other emotions cause muscles to pull the skin into wrinkles. Botox injections into the specific facial muscles causing the pull can prevent the formation of permanent wrinkles. Filler injection (Juvederm): Juvederm is a hyaluronic acid gel that is USFDA approved to treat wrinkles and folds, apart from doing many other things to beautify the face. It is injected into the wrinkles and wrinkles smoothed out. Folds similarly become less deep. Your genes determine the appearance of wrinkles, but a little care can delay the wrinkles. An easy option for wrinkle treatment is preventing your skin from sun damage by using sun protection remedies regularly. A healthy diet containing adequate protein and vitamins nourishes skin with the required nutrients for healthy skin. Avoiding smoking prevents ageing. How effective are anti- wrinkle creams available in beauty shops? The anti- wrinkle treatment creams that are available in the market contain the low strength of active ingredients.They have minimal effect, don’t act at deep levels and can not be applied to all types of wrinkles. Wrinkle treatment products prescribed by dermatologists and plastic surgeons are medically tested products, which are specific to your problem. They give better results as they are unique to every patient’s requirement. 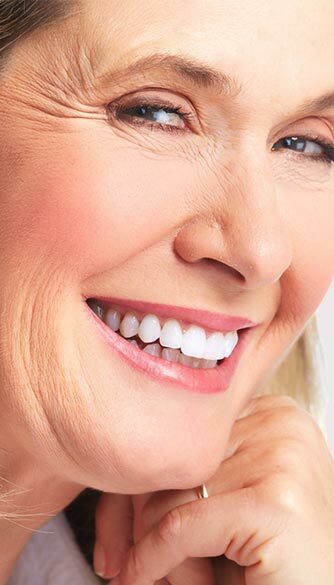 All wrinkles are not treatable with creams. Some need advanced treatments. Which wrinkle treatment is best for me? The doctor will assess your case and prescribe the right treatment based on your requirement.